BC Liberals and friends had better start worrying because Vaughn Palmer may be taking off gloves and blindfold. The pundit who has all the tools, and a toolbox, laid implements aside frequently during recent years but he now seems ready for action. Government failings don’t particularly anger the Dean, but he is gaining an amused focus. For Clark’s diehards, that renewed interest makes him dangerous. “While the B.C. Liberals plead poverty on any number of spending priorities, they’ve not exercised restraint on a government advertising budget that is poised to hit $64 million over Premier Christy Clark’s two years in office. 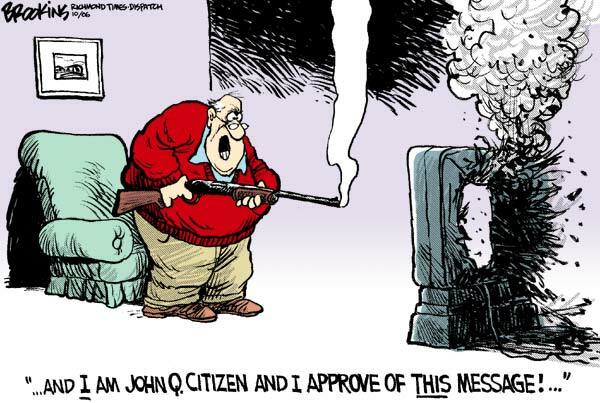 H/T to reader RS for the drawing shown above. Quite fitting too because the original Washington Irving character loathed ‘profitable labor.’ Sort of like BC journalists. Reader KH forwards this photo, taken in Vancouver. 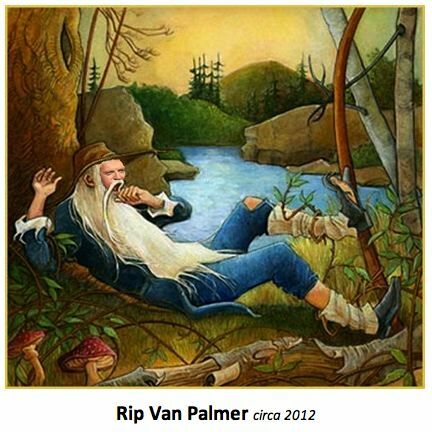 What will it take to get a whole collection of “Rip Van (fill in the blank)” paintings? 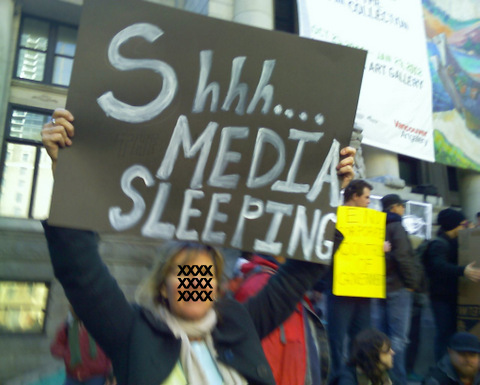 Sure are a lot of sleeping media “professionals” out there that need awakening. Every time you see a commercial for the BC Jobs Plan, take a swig/shot! You'll be perpetually drunk until May 2013, which will make this gong show of a government a little more tolerable. Just don't drink Scandal Ale!!! I would agree…the 'illness” a of corporate controlled media, whose ownership “defines” what stories are merely to keep the masses at bay, and which stories are too “sensitive”, for their corporate agenda, may be ending. has been seen for what it is. A party of has beens, political big spenders, whose “playbook” is empty, its policies, a mockery to the taxpayer, and its future, oblivion. Maybe the so-called dean is just getting into practice for a left leaning government that is expected to assume power in 2013. The media barons and their business cohorts want to maintain the gravy train they've exploited during the past decade. Come May 2013 we will see a daily barrage of stories in mainstream media equivalent to fast ferries, Glen Clark's sundeck, and the Nanaimo Commonwealth Gaming misdeeds. I’m not convinced that Palmer is born again. These recent stirrings just follow what has become his trademark. No new information. A Grade 8 social studies student could gather what he lays out and then finishes off with a faux curl of the upper lip designed to imply he still has teeth behind there somewhere. He hasn’t broken a major story since, since…I can’t remember. The government isn’t hiding from the advertising campaign; in fact they are trumpeting it. So this is very safe ground for Palmer, as usual. I agree he is a dangerous man. But to the government it is only a potential danger because of what he could write. To the public he is a real and present danger because of what he doesn’t write. I don’t want a journalist who throws us a small bone once in a while. I want one that throws us the meat he’s just ripped off a large bone. He could start by telling us whether or not Wally Oppal (after telling us for years we’d get answers at the trial) was involved in the plea deal that shut the Basi/Virk trial down without answers. Or whether the Premier was aided in her party leadership campaign by public resources from the office of the lone MLA to support her. Just a yes or a no in a column about each would make me start to believe. But like the thirty-five other Webster Wannabees I’ve asked, he doesn’t want to go there. Excellent contribution. I had mixed feeling about trumpeting his work because, while it's been substantive recently, he has consistently pulled punches when it comes to measurement of Liberal ethics. I hear credible information about pay for play situations involving Liberals and the same information is known by press gallery members. Those people have resources to follow leads but prefer to stay idle and comfortable within the Victoria bubble. I remember reading I F Stone, one of the most respected journalists in the US. He said he would not interview politicians because they always lie. When he wrote, he analyzed what they did, not what they said. He wrote a successful independent newspaper called the IF Stone Weekly. No major news outlet would handle his work as it might compromise their profit. Too many of our journalists just repeat what politicians tell them. The journalists, esp. Vaughn Palmer on his TV show, think they are great because they have close contact with the politicians in power and they don’t realize they are being used to spread the politicians’ propaganda. They could ask them the right questions, but they should do an honest and rigorous analysis of what they have been told and what the politicians have done. I.F. Stone is very much a part of today's internet because he inspires a number of writers. Most of us are not connected directly or indirectly to centres of powers, so they have no power or influence over our words. The aim at Northern Insights is to be a little like that. Frequently, links are provided to materials that I find useful or worthwhile so that readers can go there for additional information and other opinions. I have concluded that Palmer and others in corporate media are so entwined with the people they cover that objectivity is destroyed. You can't be golfing buddies with your subject and give professional coverage of that person. I have some concern it is not loathing of “profitable labor” but profiting from lack of labour.